Katrine is one of a few tiny hamlets south of Burk’s Falls. Katrine is bordered on one side by Highway 11 and on the other by Doe Lake. Katrine holds a number of little festivals during the year, including Summerfest, Octoberfest (I’m not sure if it’s a fall fair or a beer fair), and the Katrine Winterfest Karnival. 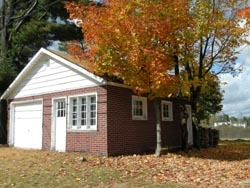 Doe View Cottages offers lodging. There is a nine-hole golf course on the Magnetawan river just outside of Katrine. The area also offers fishing, camping, and swimming at the Doe Lake beach. 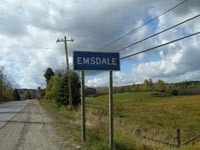 South of Katrine is Emsdale, a little cluster of houses just a bit off Highway 11 north of Huntsville. The main attraction in Emsdale is Brooks (not Burk’s) Falls, which has a park, a picnic area, and some hiking trails. Clear Lake, which is just south of the community, has a public beach and a number of nice housekeeping cottage rentals. There is a flower farm nearby which specializes in lilies. Emsdale also has the Perry Old Timer Museum just outside of town. 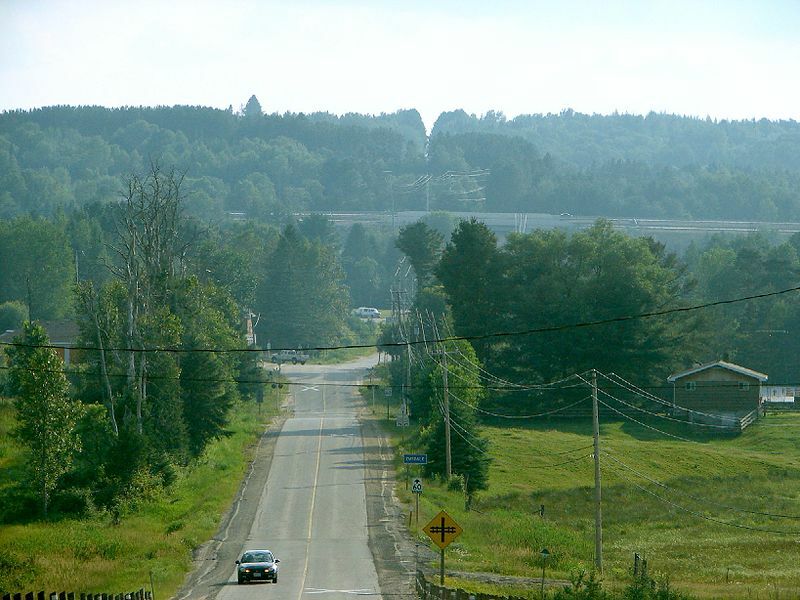 Booker’s Clear Lake Cottages and Penbrook Resort offer some backroads accommodation near Emsdale. I’ve read that there is a historical cemetery in town. Potential activities include ice fishing, cross country skiing, canoeing, bass and trout fishing, and the Seguin Park to Park trail. There is a gas station just outside of town on the highway. In Emsdale, there is Two Jacks Pizza, although on my drive through I couldn’t tell if it was still open. Feel free to send me an email or post a comment below if you have anything to add. Yes, I took a photo of a garage in Emsdale. No, I don’t not know why. 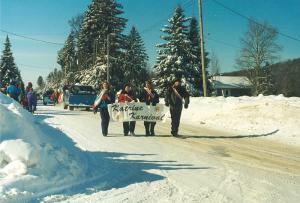 This entry was posted in Muskoka and tagged dot on the map, festivals by Highway11.ca Editor. Bookmark the permalink. visited the cemetery on Star Lake road. found my great grand parents, James and Mary Hamilton, died 1905 and 1900. Very well cared for, thanks..
Katrine is not pronounced cut-treen, it’s pronounced cat-trin. I said it wrong without knowing it from pretty much from the time I started paying attention to the road (maybe 6 or 7) right up until I started college. One of my 1st-year teachers was named Katrine, and the 1st day of class she taught us how to say her name, and now I don’t say it wrong when me and my family are going north for a week and we come up to the road sign. I’ve decided that when I have children, I’m going to name my firstborn daughter after her.